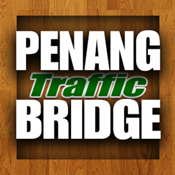 Start streaming traffic condition of Penang Bridge today with Penang Bridge Traffic app for iPad. This app gets you connected to the camera on the bridge 24/7 for both Penang Island & Penang mainland traffic directions. Real time traffic chat room is also embedded to provide an optional solution for app users to exchange traffic info via Penang Bridge Traffic app. Penang Bridge Traffic app is available for FREE download, get it today and avoid being stuck in the traffic. @iPad compatible Penang Bridge camera images streaming. @Connected to 11 camera on/off the bridge. @Continuos streaming with up to date traffic condition in live. @Live traffic chat to share info among Penang Bridge app users. @App is available for FREE.